Click this button to go to the Shower Screen and Doors Made to Measure Page and Buy Now. 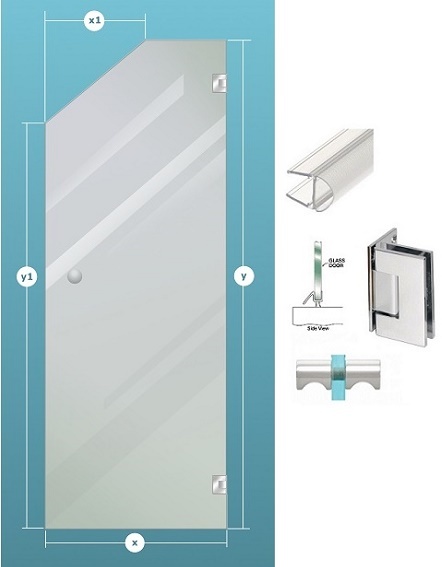 Description Frameless shower door with top corner cut manufactured using 8mm-10mm clear toughened safety glass supplied with glass to wall hinges, knob handle and seals to suit. Shower doors are manufactured in house and delivered around the mainland UK.